William L. Young, the James P. Livingston Endowed Chair and Vice Chair for Research in the Department of Anesthesia and Perioperative Care at UCSF, founder and director of the Center for Cerebrovascular Research, a member of TAAF’s Board of Directors, and a pioneer of cerebrovascular research passed away on August 1, 2013. Dr. Young’s career was largely devoted to the care of patients with vascular malformations and the study of AVMs. 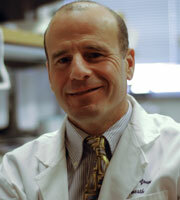 He built an extensive research portfolio, including TAAF's first grant to study gene expression in AVM patients. TAAF is proud to maintain Dr. Young’s legacy through the William L. Young Endowment Fund to recognize, honor, and promote excellence in research. More information about the Endowment Fund and the award for excellence in research coming soon. To contribute to the William L. Young Endowment Fund, click "DONATE" above and select The William L. Young Endowment from the designation menu.